We would like to thank Fortis Law Corporation, AAM’s partner for the provision of will writing services, for their input to the production of this article. The biggest fear for many couples when making a will can often be that when one of them passes away the survivor could reduce the amount left to the intended beneficiaries meaning that even if the survivor does not change their will there can still be problems if they spend the money or give it to someone other than the mutually intended beneficiaries. A potential solution to this problem could be to make mutual wills. Whilst effective, mutual wills can be unsuitable for some and care needs to be taken when deciding how your will should be arranged. Mutual wills are identical wills made by two people (known as testators), to protect their estate and their children if either or both of them pass away. This is an alternative to making individual wills, which can be revoked at any time, even after the first of them has passed away. If you make mutual wills you must remember that they cannot be changed once one of you has passed away. What are Mutual Wills, Fortis Law, June 2018. The main reason you might use mutual wills is to ensure that the survivor does not renege on their promise. This can ensure that your wealth passes to your children and not the children of a second marriage or a new spouse. What about the legal position? There are few cases in Singapore where the effectiveness of a mutual will has been challenged however there is much case law in other countries which can provide a guide on what to expect. The English Courts have stated that it is to be assumed that the first testator and the second testator agreed to make and not to revoke their mutual wills. 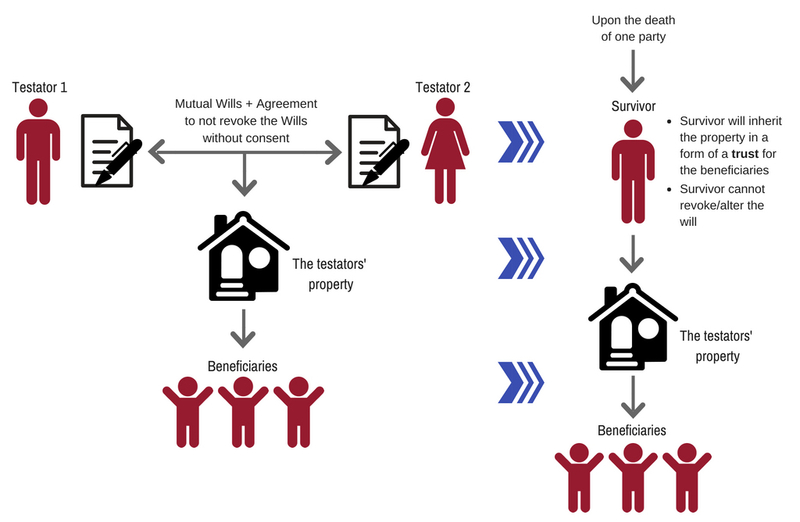 Canadian courts have judged that mutual wills establish an irrevocable and binding intention between the testators, and evidences their agreement as to the ultimate beneficiaries. In other words, the assets were intended to be held in trust by the surviving person, and to be dealt with only in accordance with the terms of the mutual will. The Singapore Court’s approach to mutual wills, or to wills in general, would seem to be a fact-finding exercise guided by what is fair to all, trying to establish the testator’s true intention. This considers not just the will, but also other evidence such as letters sent by the deceased whilst still alive. Only if the intended beneficiaries agree to deal with the deceased’s estate differently could the deceased’s intention could be disregarded. In contrast, the English Courts work on the overarching principal that the intention of the testators must be respected. Drafting a mutual will can have pitfalls and it is important to seek advice to ensure you have the right will to meet your needs. 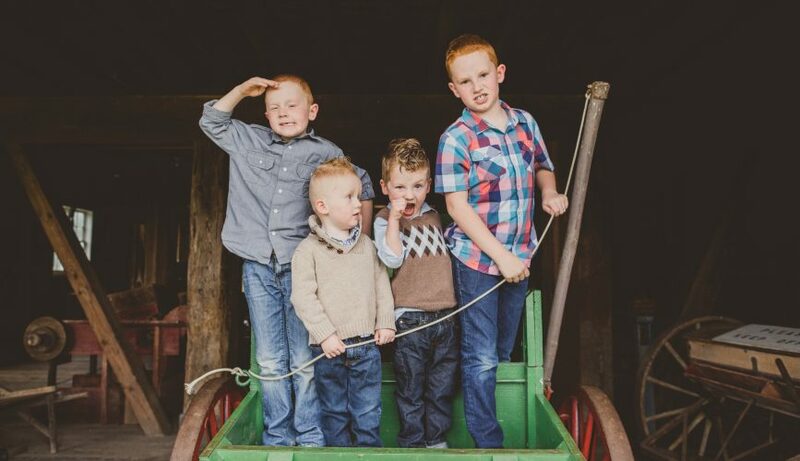 The safest, albeit somewhat restricting, way of preserving the family’s assets and ensuring that they eventually go to the intended beneficiaries could be to execute a mutual will that clearly states that specific assets, such as property, cannot be disposed of after the first of you passes away. Alternatively, should you wish the survivor to be able to sell properties and move home, restrictions can be placed on how the proceeds can be used. The beneficiaries may also be advised to lodge a “caveat” over the property so that they will be informed in the event of any transfer. To find out more about how you can ensure that your will does what you want, speak to your AAM Financial Planner or email wealthsolutions@aam-advisory.com.